HOW DOES IT WORK: we've found artists, we've found a T-Shirt factory, we've combined them together. 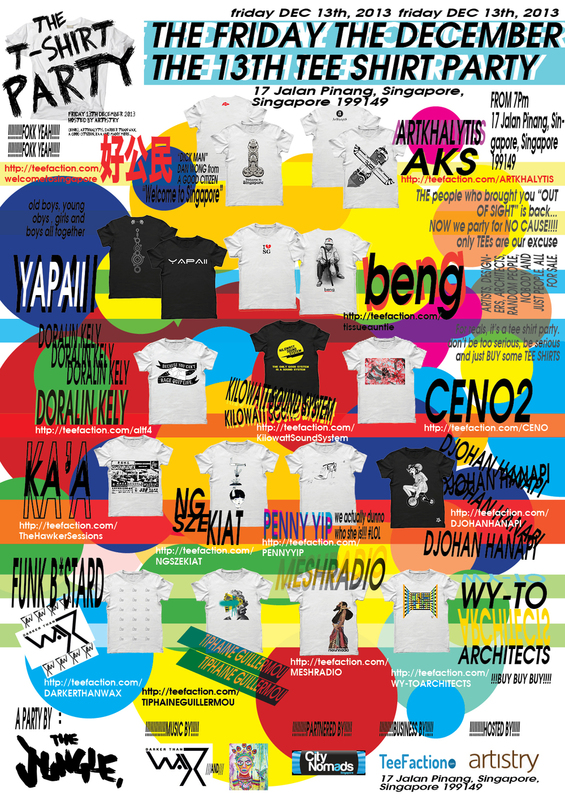 Click on the catalogue link where you'll be able to have a look at all the tees, and order whichever you want. All you need to do is choose your size and pay online, and on the party day, you'll come over to pick up your wonderful order and shake your booty, plus meet the artists. Please note that each design requires a minimum order of 10 or more for specified items, to be printed so don't hesitate to buy more! Only 21 days of campaign!